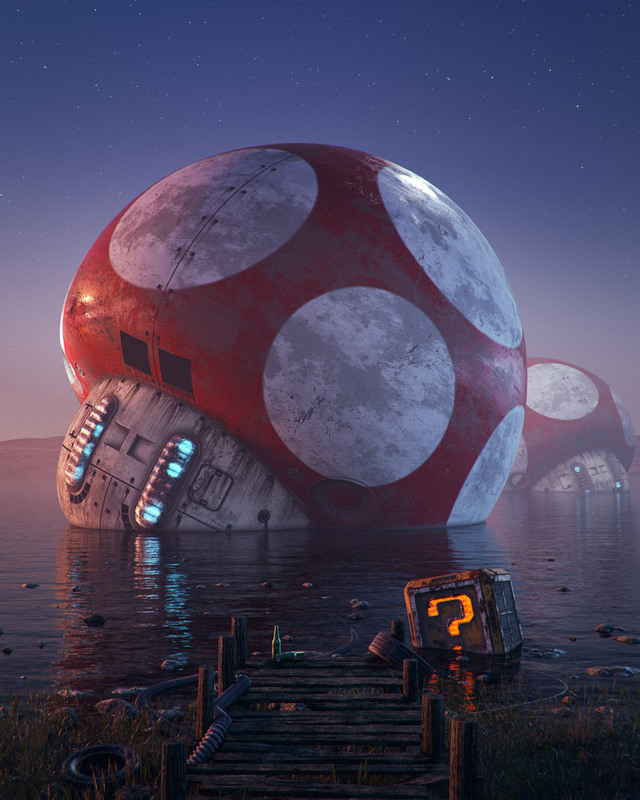 Filip Hodas is an freelance 3D artist from Prague, Czech Republic. Among his works Pop culture dystopia is the series of illustration that will definitely captures your attention. The designs shows a transposition of a disastrous reality, a sort of parallel world. The subjects are pop-culture icons, as defines them the artist, they are taken prevalent from cartoons, video games or films. Since 2015, Hodas is sharing with the public creative works on his Behance profile. Being an endless source of inspiration, Hodas is working with programs like World Machine, Cinema 4D and Octane. Thanks to his works we have traveled constantly through mysterious, tremendous and exceptionally dreamlike spots.